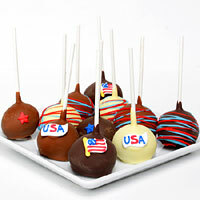 Celebrating the land we love is easy to do with these patriotic treats! 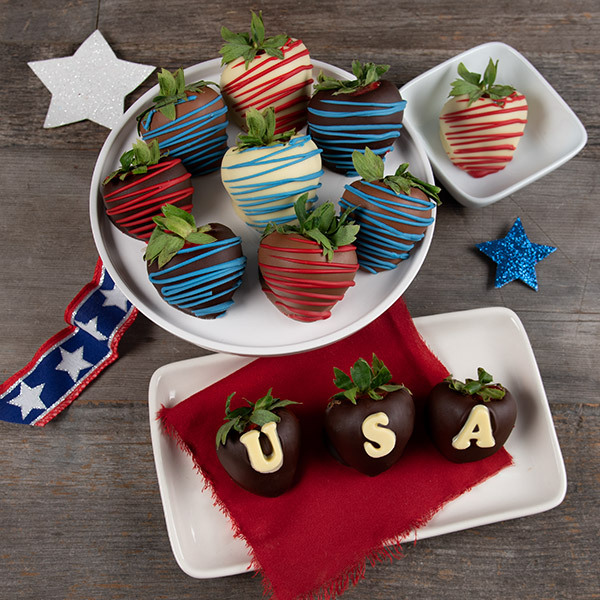 We've taken 12 irresistibly ripe strawberries and dipped them by hand into baths of rich imported Belgian white, dark, or milk chocolates. 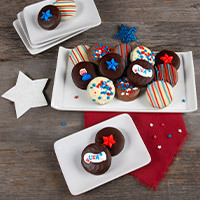 Then, to make them festive, we embellish each fruit with ribbons of our bright silken confection, sweet patriotic sprinkles, and bold star-shaped candies.